Charles Manson is NOT dead, despite many on the internet falling for yet another online death hoax. The infamous serial killer became a trending Twitter topic on Tuesday when an unreliable media outlet wrongly reported that he had been found dead in his prison cell, but it’s 100 percent not true. For more than 40 years, Manson has been serving a life-sentence for his part in forming a cult and instructing its members to carry out a series of murders. This week, a website called Now 8 News claimed that Manson had been found dead in his Corcoran State Prison cell early Monday morning. 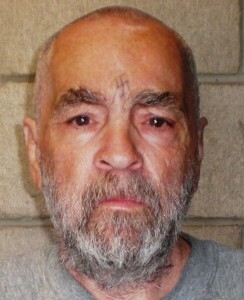 According to the misinformed report, prison guards approached Manson’s cell after hearing strange noises and discovered him on the ground with a slit throat. The site even included a fake transcript of a supposed suicide note, which had lines like, “I am immortal. 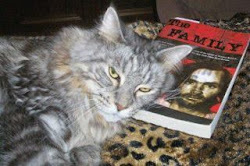 My body may lay here right now, but in less than 24 hours I will rise from the dead just like the great Lazarus, exactly like Jesus – because I am God!” There is a back-and-forth debate happening on Twitter as people seem unsure what to believe in regards to Manson’s alleged condition, but Gossip Cop can confirm that he is still very much alive. Manson did not commit suicide in his prison cell, despite a completely made-up story resulting in yet another widespread internet death hoax. And, regardless of the person involved, Gossip Cop still wishes that these awful hoaxes would die out. Ok, why does my post look like this? Hey Starship, I'll try to fix it. I don't know if I can without starting over. Lynyrd said he can fix it if I can't. Starship, I just followed your link and re-did this thread. If you had posted anything on the thread you wanted to say additionally, you can go in and add it, or add it here. Sorry I couldn't just fix it. I couldn't see the text at all!! Hey, thanks, Katie! Seriously I tried to post that six different ways to Sunday but with no luck. Thanks to all who helped! Starship, I don't think you have as many tools to edit a thread as an admin does. That's probably what happened.